• Max Temperature 195 degrees max. Your parts are cleaned in a High Temperature, High pressure environment that gives you complete 360 degree cleaning performance that leaves your parts dirt and grime free every time! 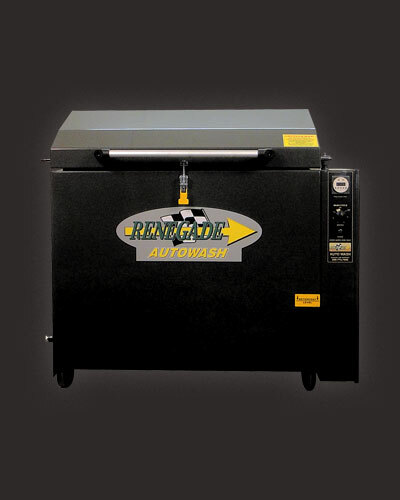 "We recently purchased a Renegade Parts Washer for the Equipment Repair Shop. We would like to say how much we like the solvent free parts washer. It does a great job and we are very pleased with the parts washer. We also have students from high school that work for us on a "Work to School" program. We feel very safe knowing that their safety is not a factor. We also find it to be very cost effective compared to our previous solvent parts washer. The new solvent free parts washer has been a great addition to our shop. "Just a note to let you know how pleased we are with the parts washers we purchased from you. I've had nothing but positive feedback from all my techs, not to mention the money I save not using Safety-Kleen! I do appreciate your professionalism and personable service. Don't even think of going anywhere! I'll hunt you down!" 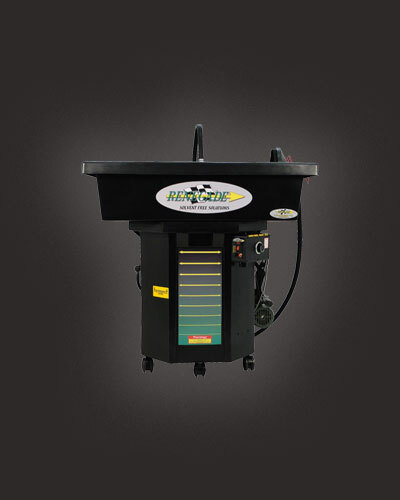 "As you are aware we purchased nine Renegade Parts Washers from you and have greatly reduced our cleaning solvent consumption, and are very pleased with the overall performance of the equipment. However, as any company would try to save money, we searched the country for a more competitively priced detergent to be used in the parts washers. We found and tried several different types, the results were devastating. Our technicians broke out with several different types of skin diseases ranging from dermatitis, to allergic reactions. We switched back to the renegade detergent six months ago and we haven't had any more skin problems. In closing, I want to not only thank you for a good quality machine, but also for creating a detergent that can be used safely by my technicians." Copyright © 2003-2011, Service Line, Inc.